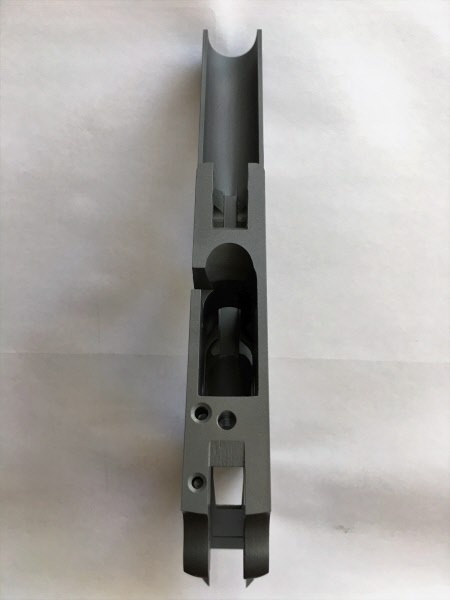 1911 frame that is 80 percent complete are CNC machined from an investment casting of 4140 ordinance grade steel. Index finger/thumb rest grip. The operations left to be completed are slide rails, hammer and sear pin holes, and barrel seat. This is a not an FFL item. This is not a complete frame and still requires machining to be done. 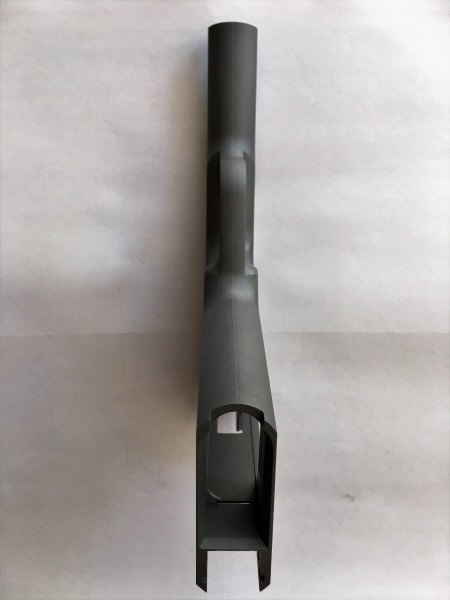 100% Heat Treated Steel Frame NOT Spot heat treated, To Exceed U.S. GI Mil-Spec. 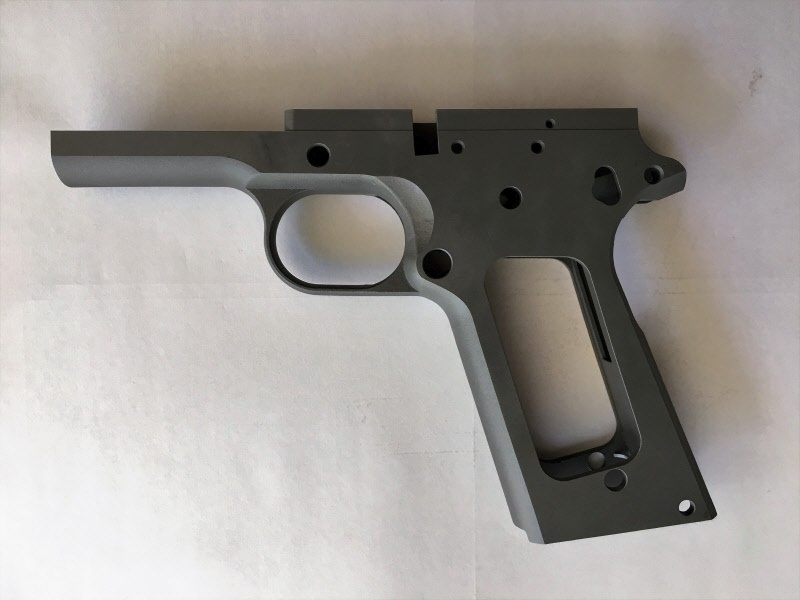 These are a new production run and will not have the picatinny rail. These have been in the works for a long period of time with improvements made for a better frame. 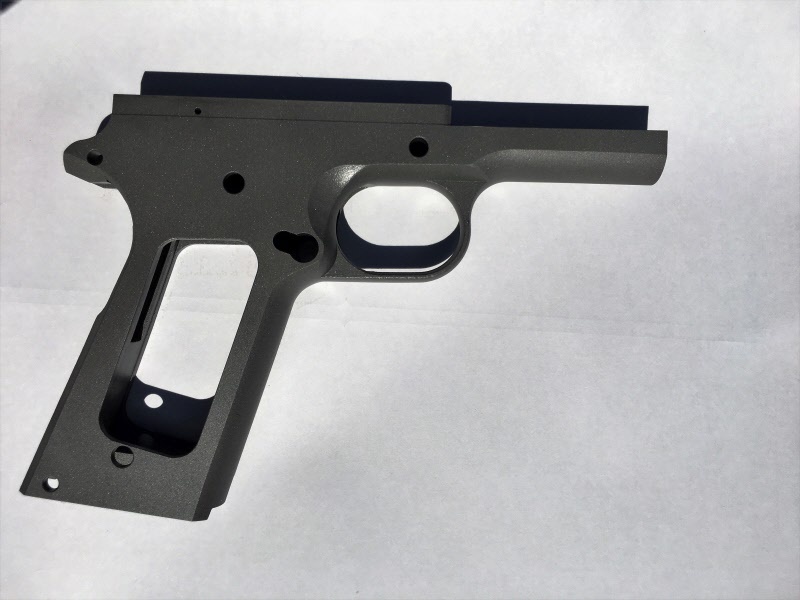 80% 1911 frames are CNC machined from an investment casting of 4140 ordinance grade steel. Index finger/thumb rest grip. The operations left to be completed are slide rails, hammer and sear pin holes, and barrel seat. This is a not an FFL item. This is not a complete frame and still requires machining to be done.